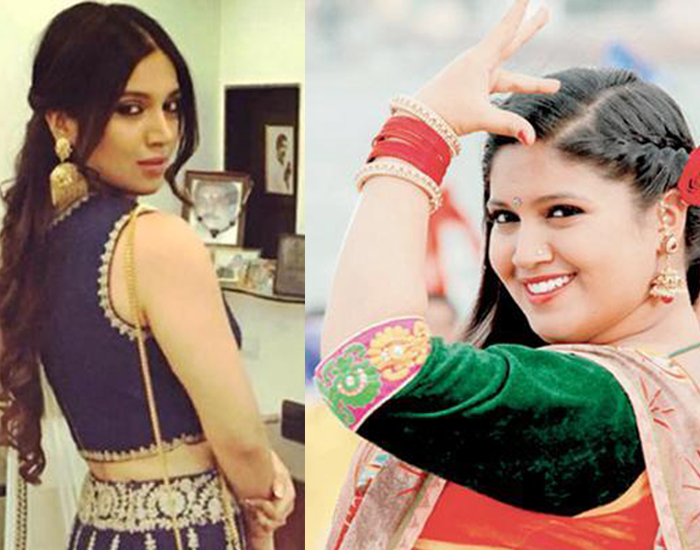 Bhumi Pednekar debuted with Dum Laga Ke Haisha as a simple overweight married woman. She broke all stereotypes with her debut movie where she opted for an unconventional role. 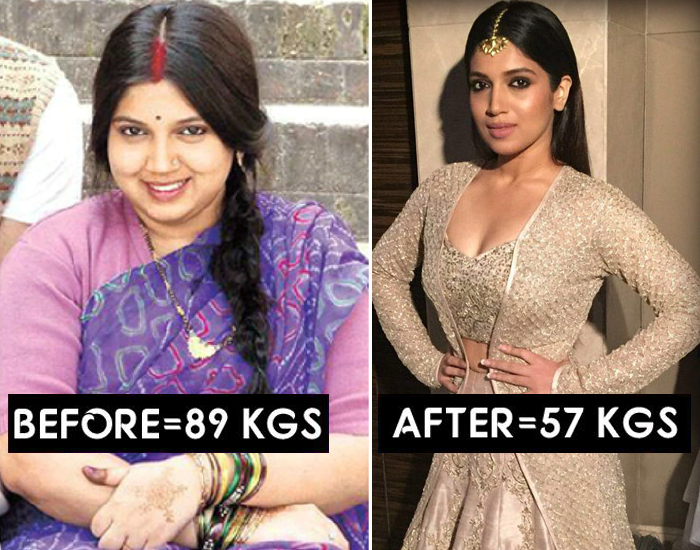 Bhumi always wanted to be an actress and when she landed her first Bollywood project, she was asked to put on 30 kilos for her role. Post the movie, she stunned everyone with her incredible transformation. She lost 21 kilos in just 4 months by making easily adaptable changes to her lifestyle, she was able to shed off her extra kilos. We still haven’t gotten over how incredible her transformation was. We’ve put together her diet, workout, and tips from her fitness plan, to help you knock out some kilos too. Bhumi starts her day by drinking organic aloe vera juice on an empty stomach. For breakfast, she eats three egg-white omelets with 1 or 2 pieces of multigrain bread. On some days, she opts for a granola bar with a glass of skimmed milk. Her post-workout snack includes roasted chana, chicken or fish with greens to repair her muscles. Lunch for Bhumi consists of chapatis made with a mix of ragi, soya, chana, and amaranth along with a bowl of sabzi or dal accompanied with a glass of buttermilk. To satisfy her evening cravings she eats a bowl of fresh fruits and has green tea. Bhumi makes sure to have dinner before 8 pm. Her dinner consists of a green salad with seeds, nuts, and olive oil. After 9 pm she either eats grilled chicken or fish with brown rice. With an active childhood, Bhumi used to play badminton, go for brisk walks, and jog along with frequent visits to the gym. Her aim was always clear – she wanted to be physically fit and not thin. Today, she starts her day with a morning walk or sprint. Once her body is charged up, she hits the gym where she does 15-20 minutes of cardio which is then followed by weight training. On some days she replaces weight training with functional training. She also likes to play sports – volleyball, badminton, and swimming are her favorite. With her firm foot in Bollywood, she also takes dancing lessons. Apart from following a balanced diet and working out religiously, Bhumi drinks 6-7 liters of water in a day. She has also quit refined sugar and tries to stay active throughout her day no matter how busy her schedule is. Most importantly, she loves her body and encourages everyone to do so. Her dazzling beauty and flawless body are due to hard work, strict diet regime and a disciplined life. 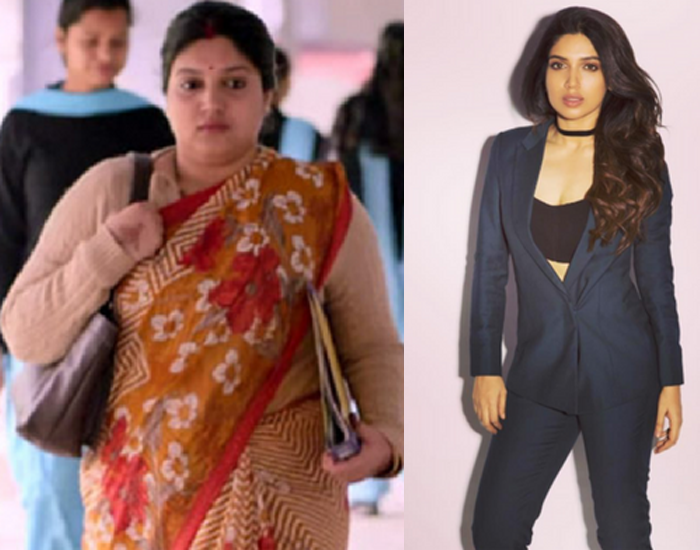 She has managed to keep herself fit and slim and looks ravishing.We salute Bhumi on how she did not opt for any crash diets that promise sudden weight loss and take a toll on one’s health. Instead, she followed the right path and the result is in front of us all.